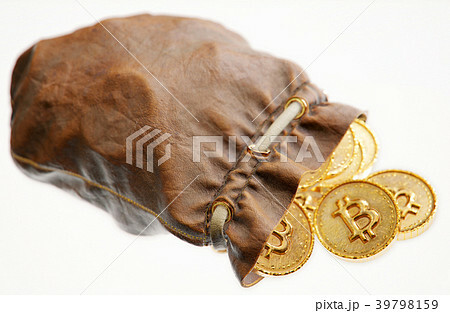 Coins of Bitcoin in a leather pouch. Isolated on white background. 3D illustration.